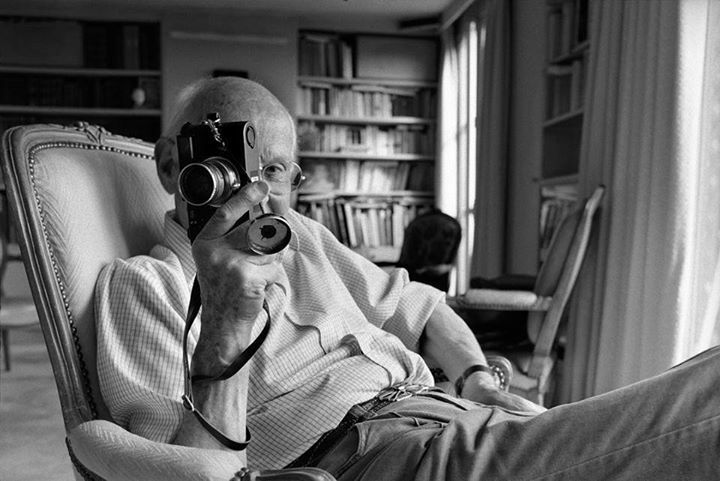 Cartier-Bresson largely influenced the development of photography in the twentieth century. He managed to combine the photo as art of photography as a profession. He gave live reportage, street photo to the rank of art. “Father photojournalism and photo essay,” co-founder of the agency Magnum Photos, the author of the term “decisive moment”, founder of “street photography” – in Cartier-Bresson many titles, which, unfortunately, has long become meaningless punches. To see real Cartier-Bresson, it is necessary to move away from all that has been said about it and written. And one of the options is to listen to what he says. This opportunity not only gives the new book “Dialogue”, which included 12 interviews and conversations from 1951 to 1998, but surprisingly in tune with her film “Anri Cartier-Bresson: just love.” The film is a great video interview, where most of the time in the frame itself Henri Cartier-Bresson, 92-year-old and very charming. It examines and comments on their photos, jokes and recalls. Some of his statements O’Birn director Rafael develops in some false stories. Film has already taken place in the Multimedia Art Museum (MAMM, Moscow) and the Center for Photography “FotoDepartament” (St. Petersburg).